We are so honored and blessed! Have you ever pinched yourself for days, weeks, and even months because you just can't believe your dreams have come true? Yup, that's me... 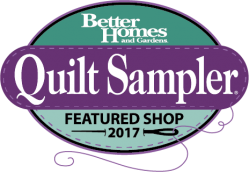 I can finally share the big secret...We have been selected to be one of the Top 10 Quilt Shops (in all of North America) by Better Homes and Gardens Quilt Sampler Magazine. 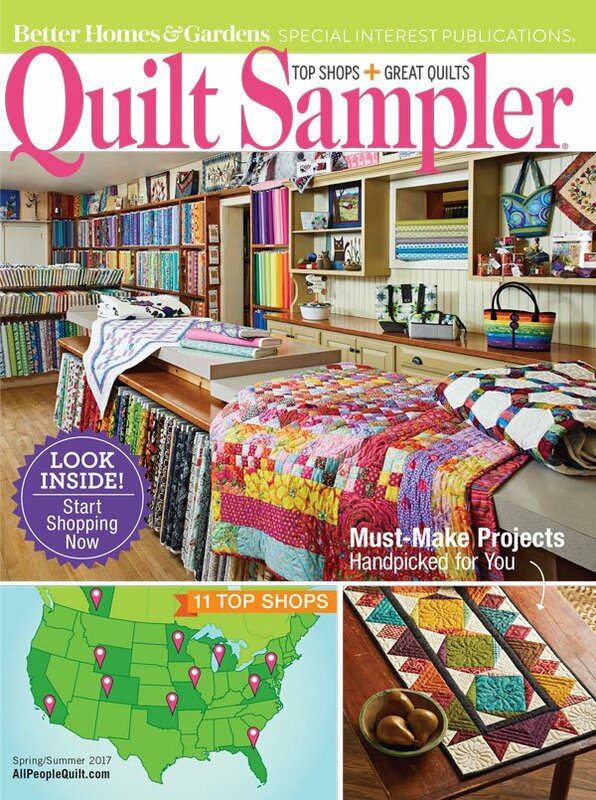 We are being featured in the Spring issue. Magazines arrived in May. We have about 1,000 copies so call or click here to purchase one. 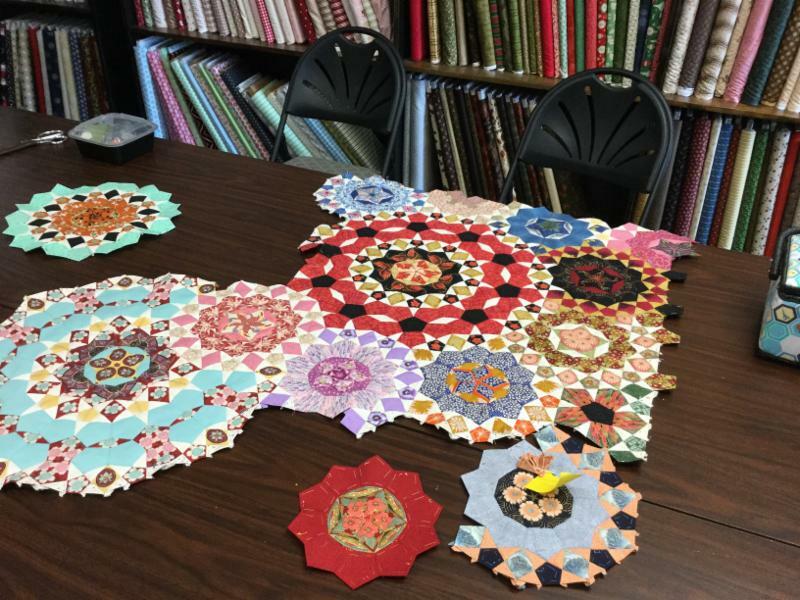 We've had interviews, designed some extremely lovely quilts, and had the entire shop professionally photographed by a team from Iowa. It has been the most difficult secret of my life to keep. I could only tell Bill and the Pressing Matters Team. They were not allowed to tell anyone---yikes!!!! So, with that being said, consider following us on on Facebook or Instagram so that you know all about the happenings at the store. Joni is stitching up a storm in the studio. Don't delay getting your projects in the line up. 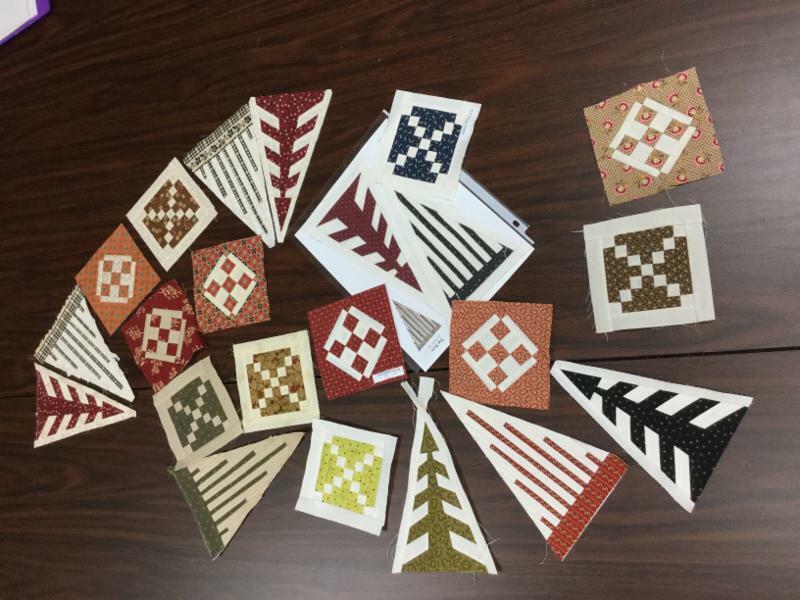 We do lovely edge to edge designs for $.02 - $.03 per square inch. We have natural and white Hobbs 80/20 batting to enhance the quilting design. Currently, there is about a four to five week wait time. This a new star pattern named "Constellation." 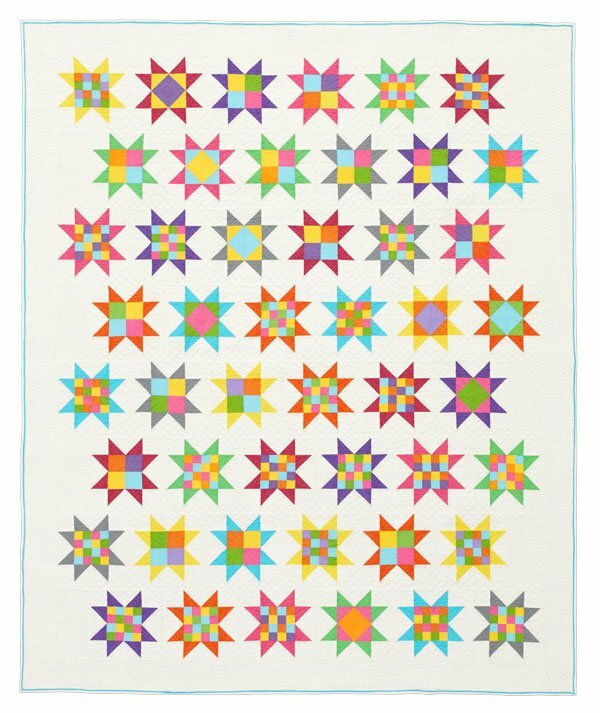 This joyful quilt was designed by Kelly Kindt and has been featured in The "Quilt Sampler" spring/summer 2017 edition! It was fun and exciting for Kelly to design a quilt for such an honor as this. Kits for this quilt can be purchased in stores or online following this link - "Constellation"
La Pas is our daytime version of "Gone to Pieces". We have been steadily working on La Pas from the Millifiori book for a little over a year. Many of the ladies are making incredible progress and each of their projects are stunning. This group is supportive, fun, and encouraging. If you need a gentle push over the cliff come on in and visit. This is a free support group full of encouragement. Our Dear Jane Support group meets monthly (see the above dates). There is no lack of giggles, stories, and sharing with this group. Even though we are all at different stages of completion, it is still fun to hold each other up through all the craziness.